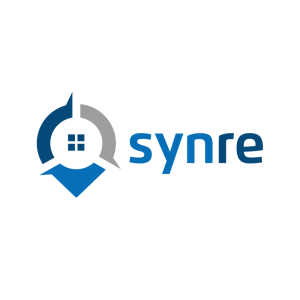 Synre provides realtors with all the necessary tool to quickly and easily complete their real estate transactions from start to finish. From the moment you obtain your real estate license to the last document you’ll need to seal each deal, we’ve got you covered. Our proprietary software allows our agents to complete each transaction entirely online, making the process much more time sufficient and comprehendible for all involved parties. We’ve dedicated our time and knowledge to our agents, and we’re determined to make our business about more than just real property. Our email marketing strategy provides agents with a quick and easy way to promote their business to the contacts they already have. By sending out a series of soft email campaigns, friends, family, and acquaintances, are quickly reminded that you are available and happy to assist them on their real estate ventures. We’ve compiled all the necessary documents you’ll need for each successful transaction. Our agents will spend less time searching for each specific document their sale requires, creating a quicker and more efficient way to work. also provided signs and business cards right from your computer! We understand your time is valuable, Synre strives to help you to save as much of it as possible. With years of experience in real estate, we understand how busy you are. 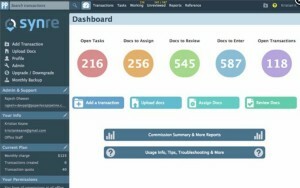 With our paperless pipeline we guarantee you’ll save even more time. No more lost papers or messy filing cabinets. Paperless pipeline enables our agents to complete everything entirely online. Your clients will thank you for such an effortless real estate experience.